Can Dalhousie/AC lead the way on proper accounting for bioenergy in Nova Scotia? Dal/AC’s revamped biomass plant provides heat and power for the Truro campus and generates over a million dollars annually from exporting electricity. But is it truly carbon neutral and will it stay that way? Curved arrows represent biologically mediated flows of GHGs: the straight arrow, industrial emissions of GHGs; and the symbols at bottom right, long term sequestration of carbon in the oceans. Carbon dioxide is the most important GHG in relation to forestry. The renewed [30 year old] plant and district energy system, a $26.5-million project that began operation this summer, burns biomass fuel in a thermal oil heater. This heat moves a new 1 MW turbine to create electricity — an organic rankine cycle (ORC) system that’s the first of its kind on a North American university campus. It’s technology that places Dal on the leading edge of sustainable technology and renewable energy practices. The Grand Opening on Nov 20 was attended by Nova Scotia Minister of Lands and Forestry Iain Rankin. The restored plant burns mostly sawmill residue using hot gas to warm up thermal oil, feeding heat energy into the plant’s new organic Rankine cycle (ORC) system that drives the turbine. Dalhousie is the first university in North America to use the technology in burning wood fuel. …The plant’s new hot water distribution system is 30 per cent more energy efficient than the former steam system. Sixteen energy transfer stations were converted from steam to hot water and another 2.6 km of hot water pipes were installed. To further combat air pollution, the plant has installed an electrostatic precipitator to remove harmful gas particles using electrically-charged plates. The university is already researching more expensive fuels that could provide a sustainable fuel source in future – one research project will look into the feasibility of growing and burning willow, which is fast growing, absorbs water and grows well in marginal lands not suitable for food production crops. The second study will look at using the wood from selective harvests and silviculture. I hope I can be forgiven for expressing some concern that when push comes to shove and there are not enough processing wastes available to run the facility, “low value wood” will be used. I note that the older system took in 8000 tons of wood chips, the new one takes in “approximately 20,000 tonnes per year”, and that the new plant will export electricity (presumably purchased as renewable energy and subsidized accordingly). Hence I am guessing that there will be some financial and possibly contractual pressure to maintain electrical output and substitute “low value wood” or “waste wood” (but still primary biomass) for wood processing wastes (secondary biomass) as the main feedstock when the latter are in short supply. That would likely make the operation a net producers of GHGs compared to alternatives over meaningful time frames, as is likely* the case for the Port Hawkesbury biomass plant. On top of the feedstock issue , the use of biomass to produce electricity (versus just heat) further reduces the likelihood that a particular bioenergy configuration will be carbon neutral (as always, within meaningful time-frames) because of the relative inefficiency in conversion of heat to electricity. Good for Dal/AC. Because of the controversies surrounding bioenergy and use of forest biomass in particular, I hope you will publish an annual report with an accounting of feedstocks and actual savings (or net increases) in GHG emissions compared to other operations on campus, i.e. the counterfactual scenario should be the energy sources that are used elsewhere on campus to generate heat and that would be used if this facility were not available. I am guessing those are some combination of electricity (generated from some mix of coal, wind etc), natural gas and fuel oil. The science and process of GHG accounting is complex and controversial** but Dal has many experts in such matters, e.g. in Life Cycle Assessment, climate change science, public policy etc. so if any group in Nova Scotia has the capacity to address this issue comprehensively, objectively and transparently, it is Dalhousie University. If Dal does take a comprehensive, transparent, and critical approach to assessing the GHG emissions issue (and let the chips fall where they may, so to speak), it could be a good lesson in critical thinking and transparency for all of us, and timely given the recent dire warnings about climate change from the IPCC, and their reservations about forest bioenergy. *** Indeed it would be another “(Bio) Massive Achievement” and quite possibly also “a North American First”. ** Re “controversies surrounding bioenergy”, see, e.g. *** The IPCC report is pretty clear that to reduce CO2 emissions over a meaningful timeframe, forest bioenergy systems need to be coupled to Carbon Capture and Storage. Forest bioenergy systems that do not provide net reductions in GHGs compared to alternative fossil fuels within 25 years are contributing to global warming and perhaps more ominously, the danger of run-away warming (e.g. 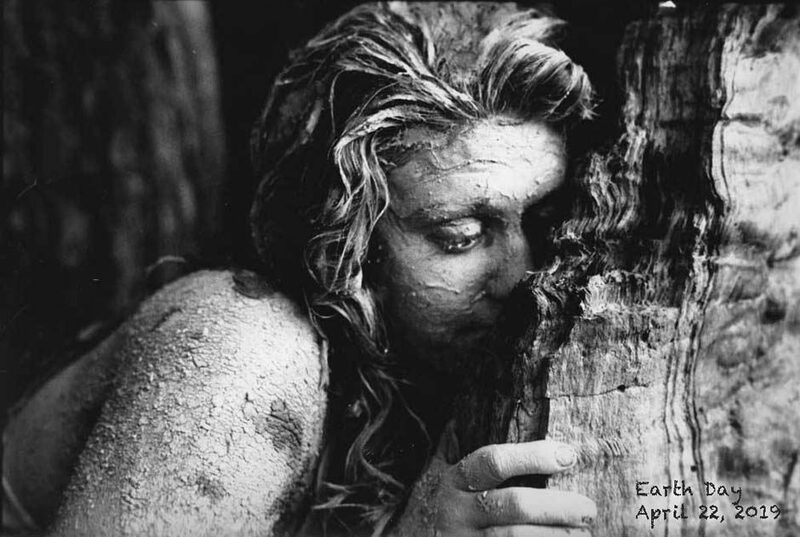 associated with release of carbon dioxide and methane from melting permafrost). Nova Scotia forests, forestry and GHGs 2: Who accounts for the EU’s emissions from bioenergy generated from imported chips? Nov 22, p.m. I received a message from Rochelle Owen, Executive Director, Office of Sustainability at Dalhousie University responding to the comment I made (cited above) on the Dal site about the Dal news Item. “Hi David, I saw your note on Dal News. Attached is our fact sheet about the system. Under the next steps section, we have research for next summer that would be inline with your comment. Be happy to receive your feedback on methodological considerations. Rochelle”. Fuel supply. The University created a biomass value statement that outlines standards for biomass supply. Biomass supply must meet the conditions of COMFIT rules. These statement and standards provide direction on topics such as fuel type, trucking distance (distance of fuel 175 km or less), and land uses (Appendix A – COMFIT Directive.). The University each year will submit a COMFIT report that outlines where fuel comes from and calculates contributions to silviculture programs though The Registry of Buyers. The majority of biomass (over 85%) is sawmill residue [bark and shavings] from a local mill and smaller amounts of local yard and clean wood waste [residue from the making of lobster traps] and two smaller amounts of research fuels (chips from selective forest harvests for siliviculture through local forestry cooperatives and an agreement for willow). The bioenergy requirements for the plant is projected to be less than 20,000 tonnes per year. • In the summer, process heat is used to heat domestic hot water. There is more available heat for use during this period. Our plans are to identify matching funding for a study and solution to capture and utilize this available heat in the summer. This would be the second stage of innovation. • We will be researching the full-life cycle carbon comparison of the biomass used in this system versus alternatives which would have been oil or compressed natural gas. • Carbon Neutrality. The campus-based biomass co-generation plant is a positive strategy compared to the alternatives; as a strategy it is not completely carbon neutral. It is part of a broader University plan that pursues many strategies to meet carbon targets including energy efficiency, solar and other renewable energies, and capturing waste heat through process like co-generation. In 2018, the University will be releasing Version 2. of the Climate Change plan that will include the Agricultural campus (version 1 was released in 2010). I am pleased to see that Dal “will be researching the full-life cycle carbon comparison of the biomass used in this system versus alternatives which would have been oil or compressed natural gas”, which is essentially what I was suggesting. ‘Good as well to see some clarity on carbon neutrality of the biomass co-generation plant (“as a strategy it is not completely carbon neutral”). I hope Dal will provide more info about the carbon neutrality aspect in their future PR and that their initiatives in this regard will be noted by other biomass energy producers and by provincial politicians and bureaucrats dealing with forest biomass issues. 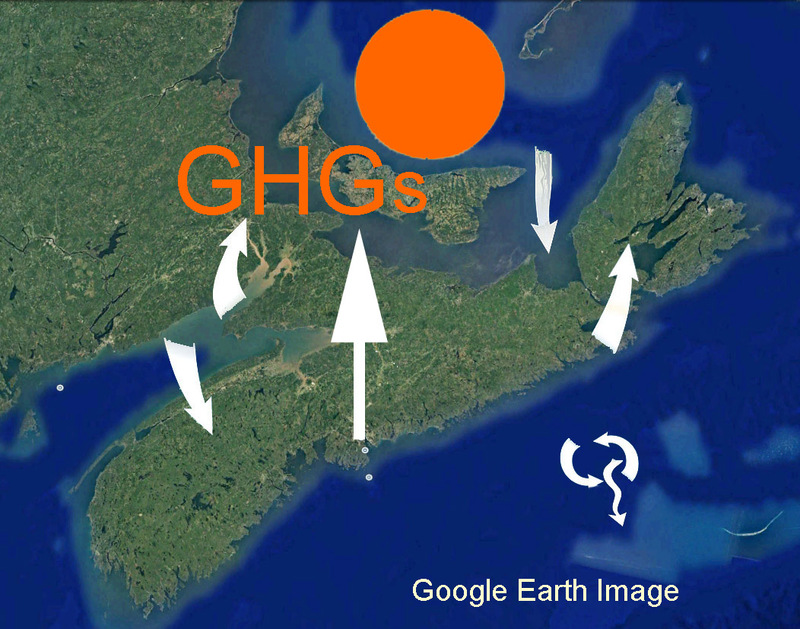 I hope also that some Nova Scotia academics will delve further into bioenergy/GHG issues for the province as a whole. Perhaps they already are. DALHOUSIE UNIVERSITY GENERATING RENEWABLE ENERGY THROUGH THE COMFIT PROGRAM: AN EXPLORATORY STUDY Matthew Andrews et al, Client: Wayne Groszko SUST/ENVS 3502 April 13, 2012. “Our team undertook an exploratory research project to explain how Dalhousie University could produce renewable electricity using wind power within the context of Nova Scotia’s Community-based Feed in Tariff (COMFIT) program. The COMFIT program allows communities to create renewable electricity that connects to the provincial electricity grid. In return, Nova Scotia Power Inc. (NSPI) pays the communities a set, premium rate per kilowatt hour (kWh) for their energy. This entry was posted in Biomass. Bookmark the permalink.